Back in 2015, we wrote about an app that’s pretty handy when you’re making vacation plans. It deals with one of the big heart-renders when it comes to exchanging money: finding out another money exchange outlet nearby has better rates than what you got. Currenseek helped solve that with their app that lets users find the best and closest exchange rates, real-time. It’s been 2 years and we talked to Sivanesen Muthusmy, strategy and partnerships lead of Currenseek, who smiled as he told us the journey that they’ve faced so far. He started off the story with how they had joined Cyberview Living Lab Accelerator (CLLA) when they only had some traction on the end user side but not nearly enough on the supply side. “CLLA gave us a very controlled environment for us to move the product and at the same time, scale the idea out,” said Siva. By the end of CLLA, they had spoken to money changers with franchise value and were ready to propose a package for the market. 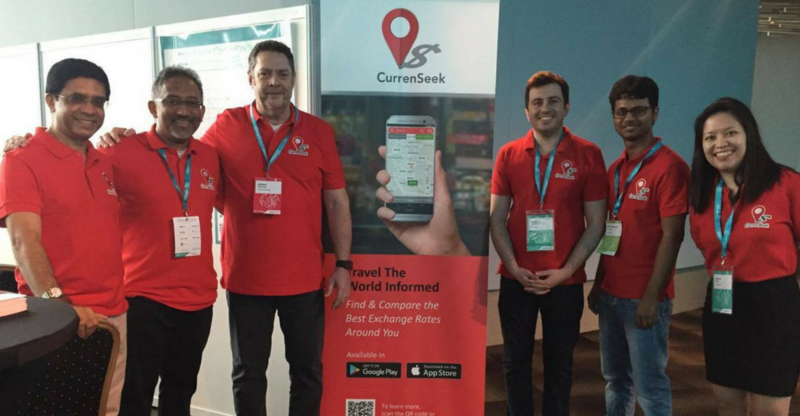 Since their launch, Currenseek has gained about 25,000 users with the retention rate being about 30 to 40% simply due to the nature of their business: the app can take up space in the phone so people only download it when they’re travelling. About 75 money changers are listed on their platform with most based in the central region. Siva added that they try to work with money changers who have presence within the country. The team is still quite a lean one, having started with 2 founders to now expanding to 4 core members. Back in their early days, Currenseek’s features were all about the end users. Everything they did were in favour to the customers. In their eyes, money changers could potentially see them as a threat, as they let people see their rates and compare them before any decision is made. But once they went to market and built traction, they saw an opposite effect. Money changers ended up reaching out to them instead, particularly those who saw a benefit in getting more publicity and being more visible to travellers. “We gave them a window of opportunity. You have about 1,000 outlets for a population of 35 million with about 15 million tourists coming in. It’s a huge market, it’s just that people don’t know where you are,” said Siva to Vulcan Post. Currenseek then shifted to help money changers become more fintech-ready, starting out with amenities like a website for them to update rates, a dashboard for them to offer discounts and rate bookings, and aggregating them to a wider audience rather than just relying on walk-in customers. 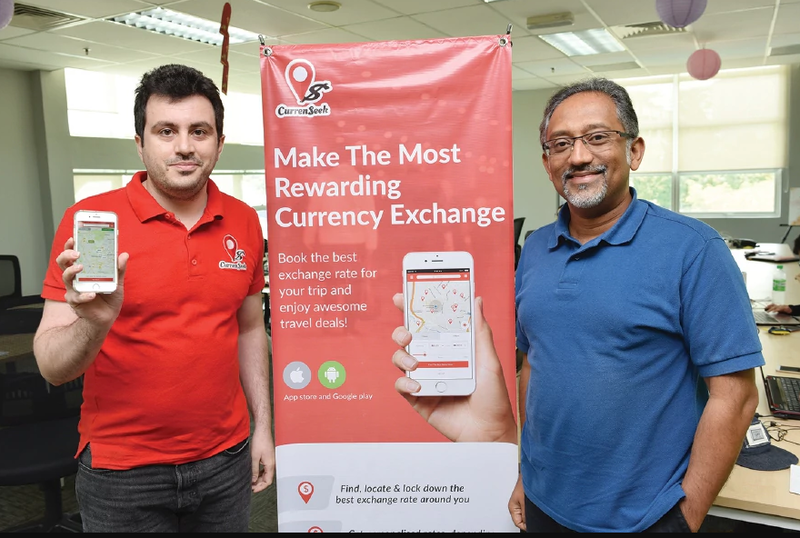 After 2 years, Currenseek still only operates in Malaysia—which is part of their plan. They have a vision of making it big in Malaysia first before thinking about regional expansion. “Like any other product, there are tweaks which are required based on the stakeholders feedback. We’re ironing those out and once that happens, we hope to see exponential growth,” said Siva. They’ve still been hustling though, by partnering with travel companies that could beef up their loyalty program. “We want to shift the mindset of rates, it’s more on what you get as a total value proposition from money changers. My belief is we have a good product so any proposition we offer, money changers will look for us,” said Siva. Being an experienced banker himself before joining Currenseek, Siva said he’s seen a shift on what we prioritise nowadays. “The market thinks it’s all about price but I think as we develop our society and it becomes sophisticated, we’ll have about 30%–40% of ppl who don’t think in terms of price and they see value in convenience,” said Siva. Service differentiation is already taking place—that’s why premium services exist. The way we travel has also changed a lot compared to 10 years ago with innovative technology disrupting the industry, but the money changing industry has yet to really evolve. It’s going to have to happen eventually—no one wants to wait in long queues with thousands of ringgit in their back pocket. Most of us would want to check the rates online and book the currencies if possible before going to the counter. Heck, with this whole cashless wave, maybe we can see a future where cash could be loaded electronically to a wallet or cash card and be exchanged there. “One day when somebody comes in and disrupts this value, people will go that way. It’s a matter of time. The question is how prepared are moneychangers to take this route for their customers. If they change, then they can tap on that and we hope Currenseek will be the option they choose to help enable them,” said Siva. You can try out Currenseek for yourself by downloading the app for Android and iOS devices. This article was written in collaboration with Cyberview.